Older Inventory – FLY – Skates U.S.
Non-current and discontinued Edea models from past productions. All sales are final. No returns. Pictures may not be an accurate representation of listed model. EDEA boots are designed with lightness in mind making them more responsive. The lightness helps skaters with their touch and feel on the floor giving them the confidence to perform. Fly is the zenith of this quest. EDEA’s designers have used a combination of microfiber and mesh to revolutionize this boot. Light and strong it offers both strength and flexibility. EDEA has increased the slant (or rake) of the foot bed. This shortens the reaction time as the foot is already in position allowing the skater to be more fluid in their movements as they prepare for jumps. It also allows for the thickness of the sole to be reduced thus lowering the center of gravity and giving the skater even greater control, stability. The unique heel design adds further stability to the boot. The curve on the heel increases weight distribution, allowing the heel to be in contact with over half the insole giving the skater a sense of oneness with the floor. The heel and the sole are positioned in perfect horizontal alignment so they are fully supported by the flat plate allowing the natural alignment of the metatarsus-phalanx. This allows the plantar-flexor muscles to remain at their optimum length allowing the muscles to react more rapidly ensuring better balance and control. Fly has EDEA’s patented hooks and hook position meaning the laces can hold the boots without the need to strangle the leg. A lace puller will make getting on the floor quicker and help keep the boots pristine by making unlacing easier so the tongue can sit properly when the boots are not in use. Hi-tech soles are fully ventilated allowing the foot to cool and helping the lining to dry more quickly so discouraging bacteria, preventing allergies and reducing odor. Fly has an extra ventilation at the front of the shoe allowing even greater air-flow and added comfort. 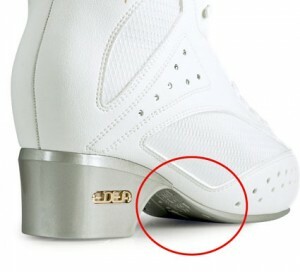 Because of the thinner sole, EDEA boots have a lower profile. This means we’ve been able to add an extra couple of millimeters of room for the toes for added comfort while retaining a lower profile. The Fly is padded with EDEA’s top of the range AIR TECH lining offering greater comfort and support. There is additional padding at the ankle for comfort and to hold the heel in place more firmly giving a better foot position. Extra padding on the boot edges helps protect the leg while increasing the range of movement. This allows the skater to move and point their toes adding elegance to the performance. The padding is also perforated allowing both the outer shell and inner lining added ventilation. All EDEA skates are designed around the foot with curves and strength to hold the heel in place, to support the foot and give the best fit and maximum comfort. The Fly is EDEA’s most technologically advanced boot. Innovative design means the skates are more responsive to power giving the skater both increased acceleration and control. The tongue is key in any boot. In the Fly the tongue gives the increased flexibility required by skaters at this top level. Its anatomical shape helps the leg bend in jumps while additional padding increases the comfort. Anatomically designed with memory foam lining, EDEA boots are significantly more comfortable than old fashioned ones. The thermal shell is heat adjustable so every boot can have the bespoke fit that skaters at this level need. The Fly is designed to be light. By using a combination of microfiber and mesh EDEA designers have been able to keep the strength while increasing flexibility to add greater fluidity to movements on the floor. 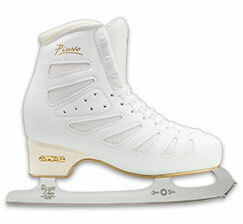 It the use of hi-tech materials makes Fly skating’s lightest boot. In a sport where style and grace can be the difference between winning and losing EDEA has added extra style to the Fly with seven Swarovski crystals added for the final touch of elegance. The combination of the new Hi-tech sole, new planer concept and the specially designed hi-low (double helix) screws allows a new way quicker, less fiddly more accurate way to mount frames. Everything at EDEA is done at their factory in a little village at the foot of the Alps. This means they have full control over control design, quality and production. You buy EDEA boots knowing they’ve been cared for from the drawing board until they are placed in the box to be sent to the shops. 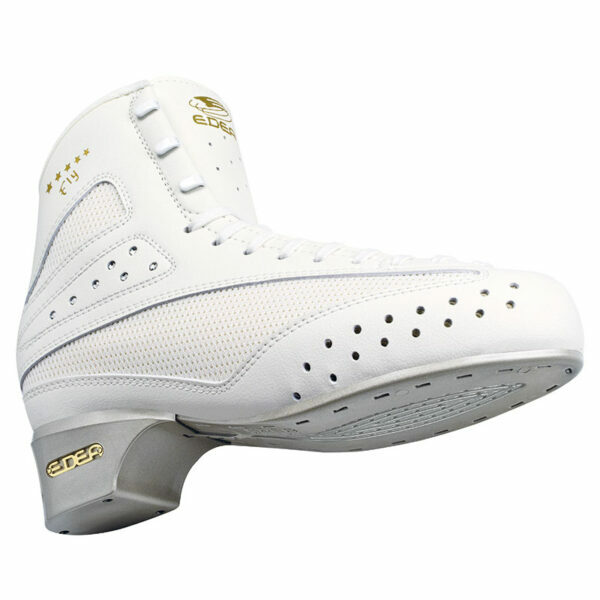 The EDEA FLY Professional Roller FreeStyle Skate is the Lightest Skating Boot available and represents a turning point in Skating and Skate Technology. Feel the Light and FLY with the Wind. The EDEA FLY is made with Revolutionary NEW Ultra Lightweight Materials which means that the FLY is 25% to 45% lighter than comparable traditional Skating Boots. 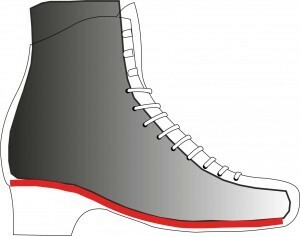 Available from SkatesUS.com, the EDEA FLY is designed for Ultra High Performance FreeStyle Roller Skating, is 100% Breathable with Ventilation all over, and is incredibly comfortable, “just like a great athletic tennis shoe”. The MicroPerforated MicroFibre AirTech Lining is Anti-Allergic, Anti-Bacterial, and Dries Very Fast. The Anatomically Shaped Padding of Memory Foam (like on your mattress) and Formed fit of the boot is shaped by the Thermoformable Structure and provides the best in foot contact and control while giving the movement range to allow Great Performances. Other features are the Rounded Heel Shape which more evenly distributes the weight and adds torsional stability, the Full Wrapped Padding, the Shaped Extra Padded Tongue, the Tongue Tab which controls the position of the tongue, and the Sewn in strong Forged Steel extra long Hooks. The Footbed has direct Ventilation and is torsionally rigid but with just a bit of vertical compression, that creates a lower center of gravity in the Skate, creating a lower displacement which greatly increases stability and control. 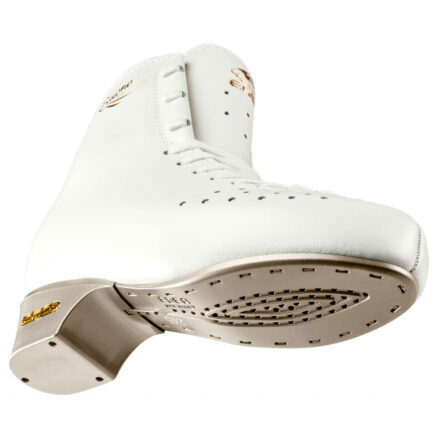 The EDEA FLY Professional Roller FreeStyle Skate now has a very strong and supported PLANAR Sole, which is Flat to match the mounting surface of the Skate Frames. With these new materials, it is now possible to properly mount the Skate Frames to the Skating Boots. 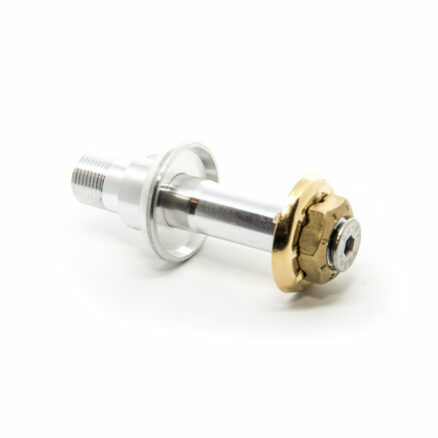 Be sure to use the enclosed EDEA “Double Helix” special EDEA screws (with a High thread that cuts and a Low Thread that grips). This system can be confidently used for most Competitive Roller Skaters, but if you are a heavy duty FreeStyle Skater, it would still be suggested to use a Bolt Mount. For a very detailed Technology White Paper on the differences between EDEA Skates and traditional Leather Skates, please take a little time and read “Why EDEA Skates are so Special“ from the Learning Center of SkatesUS.com. In most cases the Break-In period is just a few hours, not days, weeks, or Months, but the most important Features are how LIGHT and COMFORTABLE the EDEA FLY is. The Sizing of EDEA Skates is very consistent for each size and between models. Frame sizing for Roller Skates to EDEA Skates should be completed with much care. In Roller Skating different types of Skating require very different positions of the front axle in relation to the ball of the foot. When Mounting EDEA Skates, please follow the correct Roller Frame Mounting procedures for all EDEA Skates. SkatesUS.com is the number one expert at mounting the High Performance Roll-Line Roller Frame of your choice. The Sizing and Mounting information is in the Learning Center on SkatesUS.com. EDEA Skates fit a great majority of Skaters (because of the newly designed shoe lasts), right out of the box, but some have need of special accommodations to give that perfect fit. EDEA Skates ALL have a Thermoformable Structure which allows manipulation of the boot to give the perfect Custom fit without the Custom price . 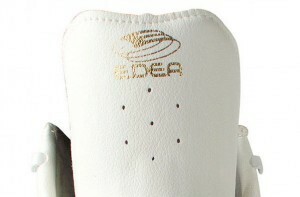 EDEA Skates use a special Memory Foam (like on your matress) and DO NOT use gel packs or standard foam that are heated in an oven, then the foot inserted to shape the inside padding of the boot only, this method allows change and movement of the old style padding over time, which is not a good thing. 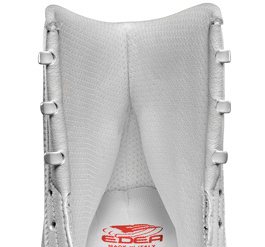 EDEA Skates DO use very high tech materials (similar to a carbon fiber or Kevlar material) which can be shaped using high power hair dryers and Special Shoe Lasts, in very specific locations or general widening or narrowing of the Skating Boot. This “Shaping” is actually changing the Structural Shape of the Skate. 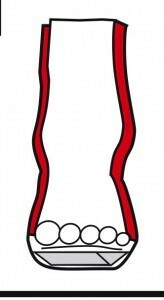 Once the boot is “Shaped”, it will stay in that shape, until the “Shaping” process is changed again. SkatesUS.com provides this very special Custom Fitting service. The EDEA FLY is the premier Skate that is primarily used by all levels of Men and Ladies Singles Skaters, Men Pairs Skaters, and many Coaches as it is our most comfortable Skate. 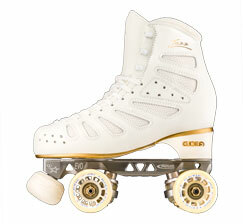 SkatesUS.com is providing the opportunity to have a completed EDEA Skate Outfit including the top Roller Skate Frames appropriately used at this level. All of these Custom High Level EDEA Skate Outfits will take about one week, as not all of the Roller Skate Frames are always in stock. It is highly recommended to use this time make sure that the fit of the EDEA Skate is proper prior to any Mounting of the Blade or “Shaping” of the Boot. When the EDEA Skate Outfit is paid for, SkatesUS.com will ship the EDEA Skates to verify the correct size and then we will cover the cost of the return shipping after trying on the EDEA Skates prior to mounting the Roller Skate Frames and complete the very high level, high performance EDEA Skate Outfit. For more details on this service see the SkatesUS.com Boot Sizing Policy (which is only valid in the United States). Once the Roller Skate Frames are Mounted or the Boot is “Shaped”, the Skates are no longer considered New and CANNOT be Returned. We highly recommend confirming correct size before ordering the items to be mounted. All International orders are final, once paid for and shipped. 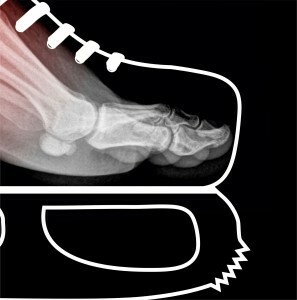 The best way for us to work on the Skates, is of course to have the Skaters feet to put into the Skates and find out where the pressure points are. SkatesUS.com is also providing (if selected) the custom Mounting Services to complete your very high level, high performance EDEA Skate Outfit. 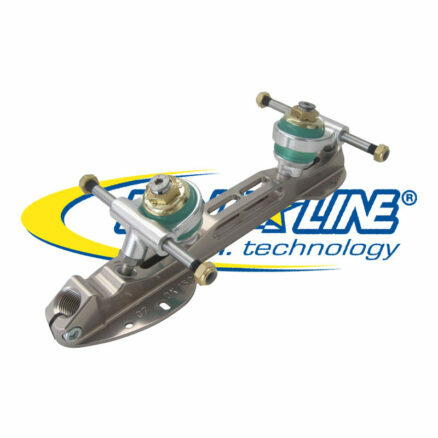 We will complete a standard Roller Skate Mount based on the normal Center of Balance. Once completed Enjoy Skating in EDEA Skates!!! 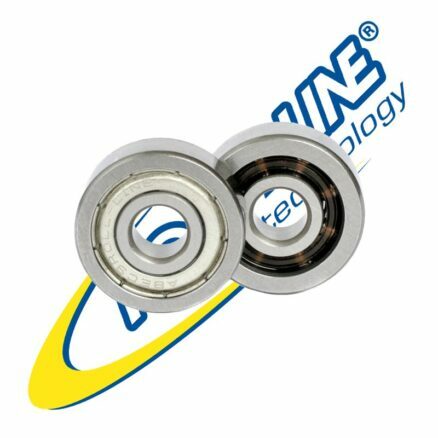 Don’t forget the GREAT Roll-Line Wheels and Bearings. A new pair of Skates with old Wheels and bearings is like buying a car with worn out and out of balance tires. This is usually not a good feeling.